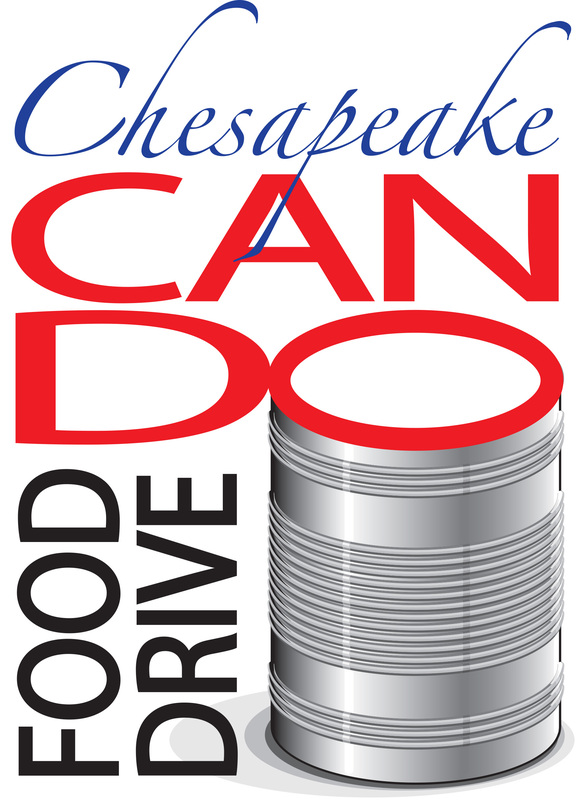 Chesapeake Can Do, launched in 2010, is a program designed to collect food for the Foodbank of Southeastern Virginia and our local food pantries. We are inviting businesses, religious organizations, schools, service clubs, etc. to participate in this food drive during the month of October in a display of our unity of purpose for this worthwhile cause. The Chesapeake Can Do effort is intended to be very personalized to your organization. Every participating organization is encouraged to design/adapt their own program with a common goal of collecting nutritious non-perishable food to supply our local food bank and food pantries. Chesapeake Can Do is totally volunteer-driven and therefor has no paid staff or logistical support functions. Participants are asked to collect and deliver their donations using their own resources. Because food is a basic requirement for life, it is incumbent upon those of us who are able to give, to voluntarily provide food to those in need. “People helping people” is the fundamental principle that guides this program. All of us can make a difference in the lives of those in need, even one can of food at a time. The overwhelming generosity of your organization or business can provide critically needed non-perishable food items for the pantries of Chesapeake and the Foodbank of Southeastern Virginia. Will you please up us feed those in need? Copyright © Chesapeake Can Do. All Rights Reserved.